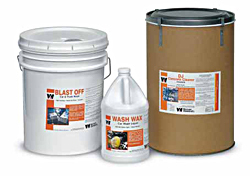 A super concentrated liquid aluminum and stainless steel cleaner, brightener, and conditioner for satin finish on over-the-road trucks and trailers. Removes heavy soils, grease, soap scum, hard water deposits from carwash kemlite walls. 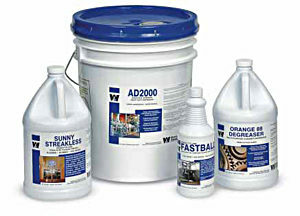 Use on unpainted trucks, trailers, straight truck bodies. Restores original luster and shine. Quickly removes oxidation, diesel smoke, dirt, and grease with minimum attack to aluminum. Dead oxidized lettering paint is removed.